Black Spot Programs are a vital part of the State's commitment to improving road safety and reducing road crashes and trauma on South Australian roads. Black Spot Programs directly target improvements to the safety of roads with proven crash history or high-risk locations. These programs are very effective in reducing the risk of crashes and saving the community many times the cost of the relatively minor road improvements that are implemented. South Australian list of approved projects funded under the 2018-19 Australian Government Black Spot Program. media release. The Australian Government Infrastructure Investment Black Spot Programme is funded by the Australian Government. In recognition of its success the Australian Government has now extended the program until 30 June 2022. Funding is subject to annual approval by the Australian Government Minister for Infrastructure, Regional Development and Cities. The Australian Government Infrastructure Investment Black Spot Programme encourages local government and community organisations to submit nominations. For 2019-20 nominations, please refer to the updated criteria. 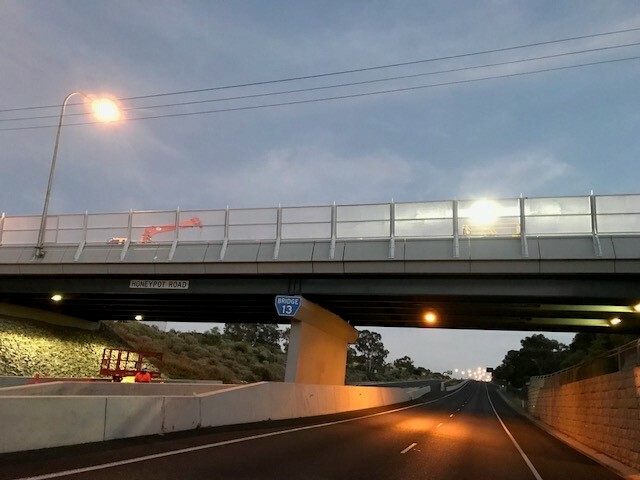 The South Australian Black Spot Consultative Panel is now calling for project nominations of infrastructure investment projects for 2019-2020 aimed at significantly reducing serious road casualties on South Australian roads. SA Consultative Black Spot Panel recommends Australian Government Black Spot Programme to the Australian Government Minister for Infrastructure and Regional Development. Approval of the Australian Government Black Spot Programme by Australian Government Minister for Infrastructure and Regional Development. DPTI recommends State Black Spot Program to the South Australian Minister for Transport, Infrastructure and Local Government. Approval of the State Black Spot Program by Minister for Transport, Infrastructure and Local Government. Black Spot Projects do not include red light or speed cameras, vegetation control, or other maintenance concerns. Determine if there have been more than 3 casualty crashes at this site within the last 5 years (A casualty crash is defined as either a fatal or injury crash. It excludes vehicle property damage crashes). Do you want to nominate a Black Spot? State and local road authorities, community groups, associations, road user groups, industry and individuals are encouraged to submit a nomination either direct or through the relevant road authorities. These templates, forms and supporting information must be used to prepare nominations. Submit all forms to the contact provided in the “Black Spot Contacts” section. (*) Note that the latest BCR spreadsheet must be used, as it adopts crash cost methods derived from the Bureau of Infrastructure, Transport and Regional Economics (BITRE) and updated crash type costs for Austroads method. This will also make the BCR method consistent with those used in other DPTI road safety programs. Incomplete or late nominations will not be considered. Please note: password has changed, please contact DPTI.SABlackspots@sa.gov.au to be sent the new password (include the old password in your email). 4. How are Black Spot programs approved? The South Australian Consultative Black Spot Panel assesses and endorses recommended nominations for the Australian Government funded Black Spot Program for consideration and approval by the Australian Government. The Panel Chair is Mr Tony Pasin MP, Federal Member for Barker. Other Panel members include: a representative for the South Australian Minister for Road Safety, and representatives from the Local Government Association, Royal Automobile Association of South Australia, Motor Accident Commission, Bicycle SA, South Australian Freight Council, South Australian Road Transport Association, the Australian Department of Infrastructure and Regional Development and the DPTI. Projects not successful under that program will be considered for funding under the Annual Program (funded by the South Australian Government) through DPTI. The DPTI is responsible for assessing nominated projects, recommending projects for approval by the Australian Government and State ministers and administering both Black Spot programs. Once projects are approved and underway, the following templates and forms must be used. Councils should contact DPTI for further information relevant to their role. Councils receiving Black Spot funding are required to enter into a funding deed with DPTI. Other reporting requirements as per Funding Deed or other requirements – ie project physical & financial status shall be provided to the department's contact. To reflect the specific inherent risks at level crossings, nominations for level crossing related projects will be assessed independently of road nominations. Road Safety Audit report is not mandatory for level crossing nominations. To assist with your nominations for level crossing projects please contact Anne-Marie Egges on (08) 8343 2873. Approved Black Spot Programs for 2018-19 financial year. Approved Black Spot Programs for 2017-18 financial year. Please refer to the list of external prequalified Senior Road Safety Auditors and Restricted Access Vehicle Route Assessors (PDF, 125 KB).